Pictured is the giraffe calf recently born at The Wilds in Cumberland, Ohio. 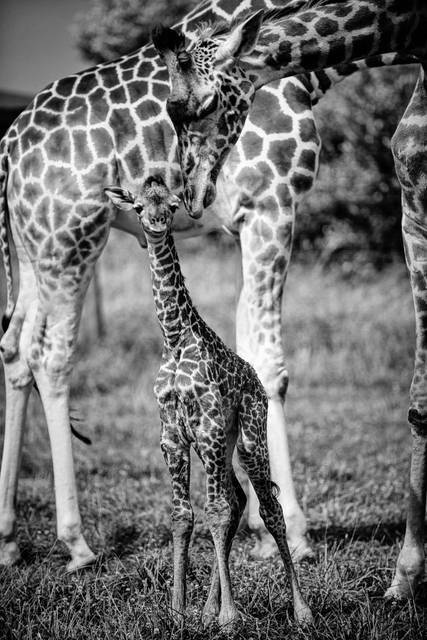 The Wilds is proud to announce the birth of a male Masai giraffe calf. The calf was born in the pasture during the late afternoon of July 10 and appears to be healthy. The birth was also visible to guests on an Open-Air Safari Tour at The Wilds, providing for an unforgettable experience. The Wilds animal care staff noted that the calf is strong and staying close to his mother. The Animal Care team at The Wilds will continue to monitor the young calf’s development and health over the coming weeks.